Bri Gaal's Blog: We're Going Skiing! Okay, sort of. Tomorrow evening Marty and I are driving to Maggie Valley, NC (just west of Asheville) to stay at my dad’s cabin. 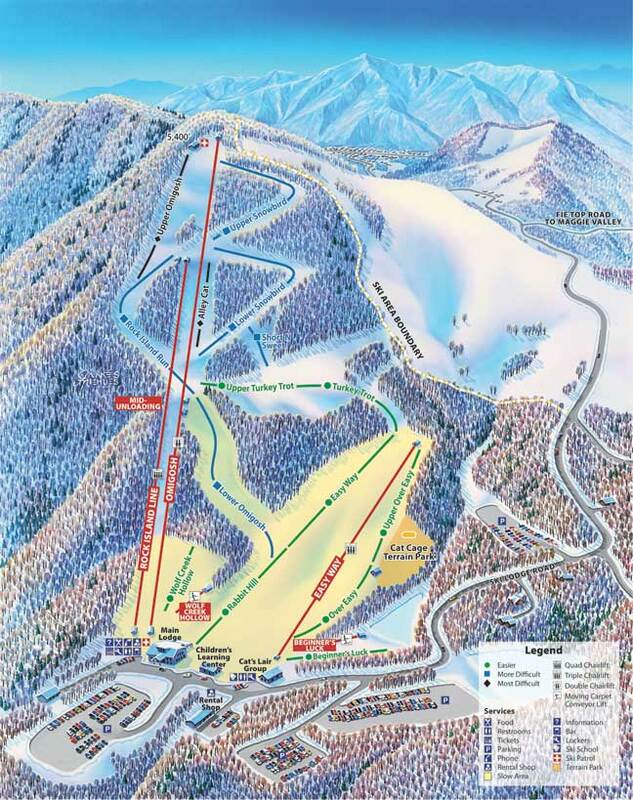 There is a ski area just down the road that we’re going to check out on Saturday. 4 of our friends are joining us on Friday evening and it should be a fun weekend. They’ve actually gotten quite a bit of snow (see previous post about our NC winter – now I’m happy about it) out in the mountains of NC and they make a bunch of it, too, so it should actually be pretty good for some low key skiing. This place has 16 runs and 5 ski lifts. This ain’t Colorado! Here’s a picture of their trail map to give you an idea of how small it is. They have a tubing area which should be fun, too. Ugh I saw your post title and clicked on it because obviously I assumed "skiing" meant "to colorado"
Have a fun weekend Bri!! Sounds like fun! I don't downhill ski, but if you ever want to come out to CO to ski, let me know, we are not too far from the mountains.